Cosmically, the perspective continues to brighten. 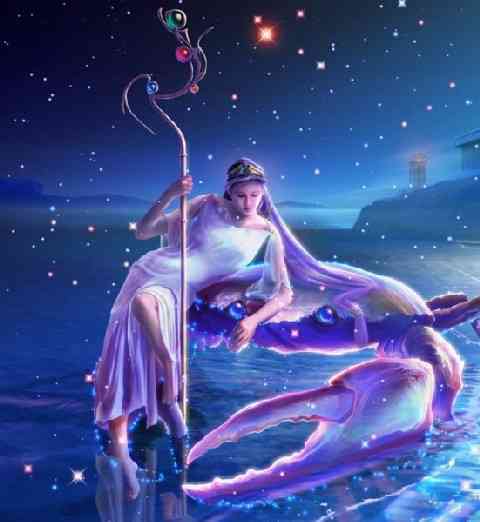 Mercury enters fiery Sagittarius on Thursday evening emphasizing open conversations, truth telling, tolerant ideas, and hopefulness. After striving for a couple years just to keep our heads above water, we now consider strategies to expand and direct our lives toward something meaningful. 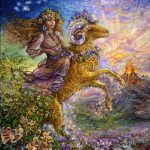 The Sun in Sagittarius forms an energetic alignment with Neptune today, highlighting compassion, inspiration, artistry, and something that exists in subtle or hidden form. It can represent confusion or delusional thinking especially as it relates to the future, our freedom, and some foreign influence. 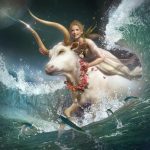 Chiron’s new forward motion brings us face to face with healing progress we’ve made over the past six months, and it’s far reaching. We begin to see expansive improvement, even within those areas we didn’t realize needed improvement. 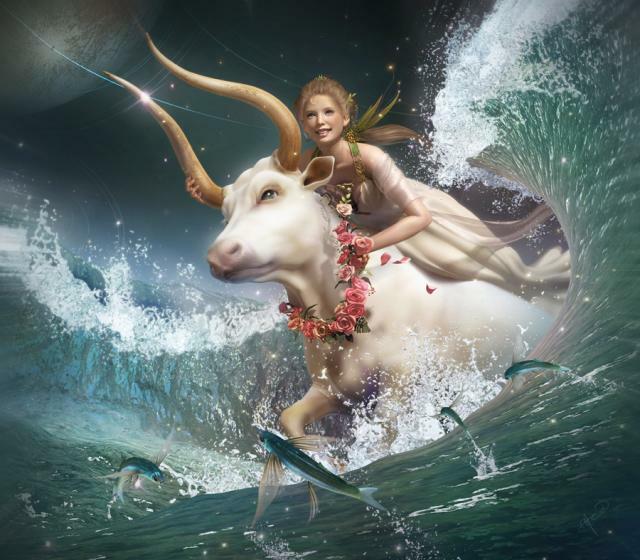 This week Chiron aligns in energetic aspect to Venus. We may feel the need to prove ourselves to someone who may or may not deserve the effort. Being aware of our motivations and questioning that is wise. Jupiter’s motion is beginning to slow as he prepares to move retrograde. We may have some preparatory work to do in the form of clarifying what gives our life meaning and makes us happy. 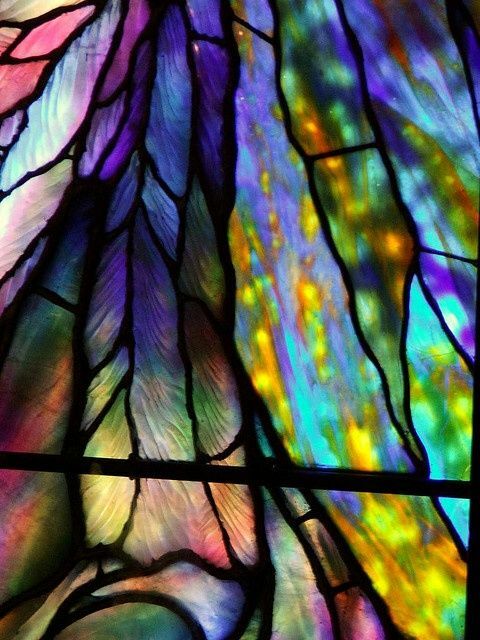 This is essential to our ability to expertly “direct our aim” toward cherished goals. 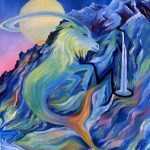 The down-side of Sagittarius – and Jupiter’s newly elevated position – is the possibility of becoming scattered and ineffective if we’re unable to discriminate between which opportunities to accept and which to reject. In the background is the ongoing war within (and without) that’s been raging since 2011. How do we break free of old limitations (fear) that squash potential and leave us tip-toeing through life. Our time on earth is limited and there is the urge to make the most of it. It’s time to take stock of your current position as the war within winds down. How close are you to winning the epic battle for personal freedom that can make your life all it could be. The clock is ticking and it’s time, between now and next March, to pull out all the stops. If you’re looking for an outer reflection of the “war within” it would be Ferguson, Missouri, competing interests, ruthlessness, desperation, and heightened fear. Happy Thanksgiving and thank you so much, long time readers, for continuing to check in. 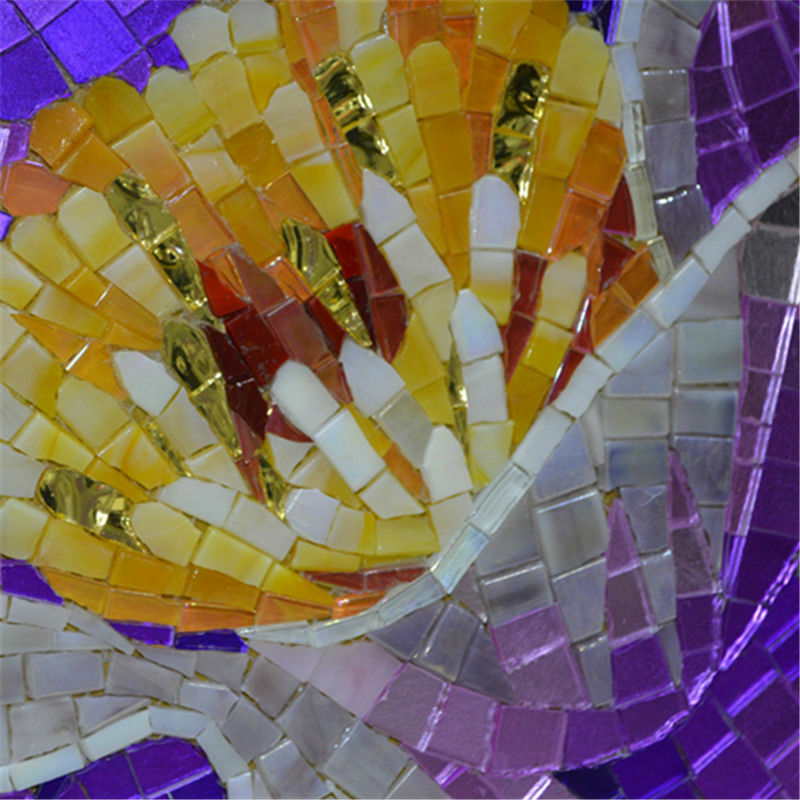 Thanks to new readers as well for the opportunity to regularly present you with a “cosmic perspective.” Mosaic Astrology, and the chance to do what I love, exists because of you. Always, but especially now, I am overwhelmed with gratitude. Sending American readers my best thoughts for an especially heart-warming Thanksgiving Day. Sending internationals my best wishes for heart-warmness as well. This week you have the ability to act authoritatively to create opportunities that empower and move you closer to your professional goals. You have the ability to focus, to put emotions on hold, to create working partnerships that elevate your status and reputation, and to make some very significant progress. You may have been compelled to make some move to change the game recently. Your ability to safeguard your right to happiness, creative expression, or an issue with a child may have come into play. Now is the time to deliberately release those things that could prevent you from finding your niche, from stepping into your most authentic community role, or uniting with natural friends and allies – your own tribe. It’s time to make the space you need for you to truly belong to something bigger and more supportive. Focused self-assertion is the key. This week creative energy and inspiration breaks through the your personal defenses that ordinarily keep it constrained. 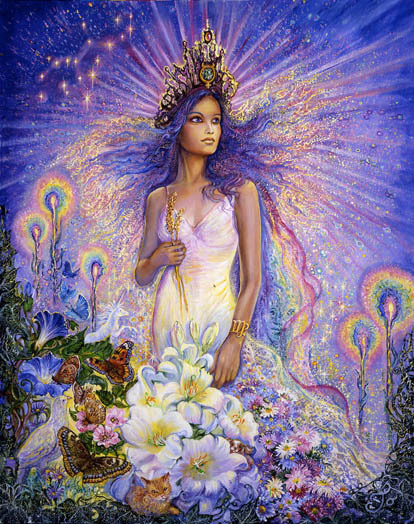 Influenced are the type of actions you take to expand your power and control, to form working/financial partnerships, or to break free of some conditioned response. You may be put in the position of having to prove that you do belong among the artists of the world, that you can align with allies, make more time for friends, join a group, or create an altruistic foundation. 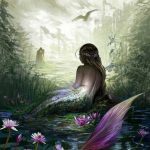 On a more fundamental level you may have to prove that you do trust your intuition to lead you in the right direction and that your heightened sensitivity this week is a deliberate message from the universe that it’s time to connect with your niche and the group that is truly your own. Mercury, your ruling planet, is about to expand the conversation with a significant other, to include the truth, the possibilities, the issues surrounding balance and commitment, and more of your thoughts about the future. But just before Mercury makes his move, there is a tense aspect formed with Black Moon Lillith. Black Moon is the angry, resentful, oppressed feminine who cannot say what she needs to say for fear of reprisal. 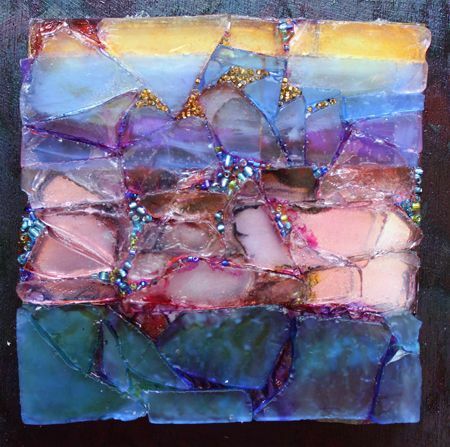 Keeping it all under wraps for too long, Mercury now dares her to explode, to wound with the truth, to shatter the sham, to release some of the inner pressure that depletes her energy and steals her power. There is the indication that this needs to happen for the sake of an important relationship. Purification requires that guilt falls by the wayside and perfectionism giving way to something kinder and gentler. 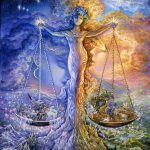 There is something very old that keeps you from enjoying the kind of balance within your home and relationships that you desperately need. There is some competitiveness, fear of cooperation, or desire to win -fairly or not- that keeps you separated from what would satisfy you most. It is a type of reflexive instinct that turns peace into conflict and partners into enemies. The good news is that this old instinct is willing to die a quick death this week. 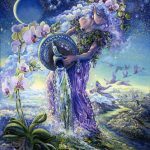 You may come to the refreshing conclusion that you have nothing left to prove, that being happy is your primary responsibility, and that when you let go of the reigns, life does not fall apart. 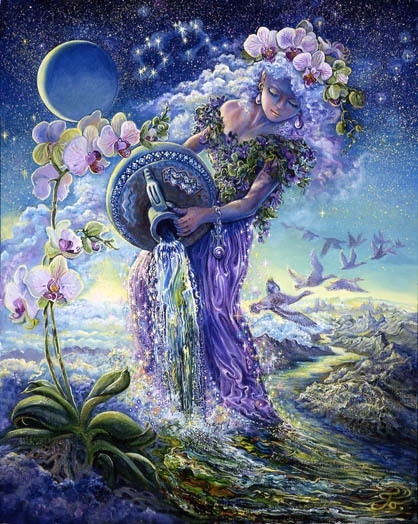 Letting others know you are open to help, to appreciating their efforts, and to taking a back seat for awhile, easily releases you from some long standing strangle hold. 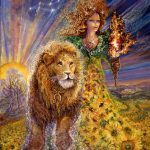 Leos may find themselves having to take back their power after a stint of trying to prove their worth to another – a professional partner or committed spouse. It is possible, as well, that another may be tired of trying to prove their worth to you. Individuals put themselves in creative prison when they see their own worth through the eyes of another. It’s a perspective that demeans and distorts their true nature. But this week things are changing as you assess the effectiveness and fairness of this current approach. 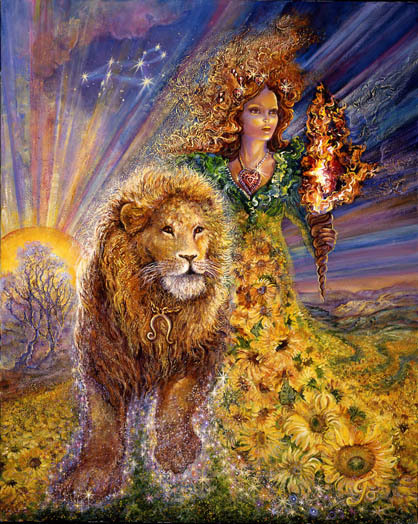 Leos may open their eyes to the beauty of their own creative impulses and the value of contributing the best parts of who they are without fear of disapproval. You may be in top form, pleasing your audience only to the extent that you please yourself. 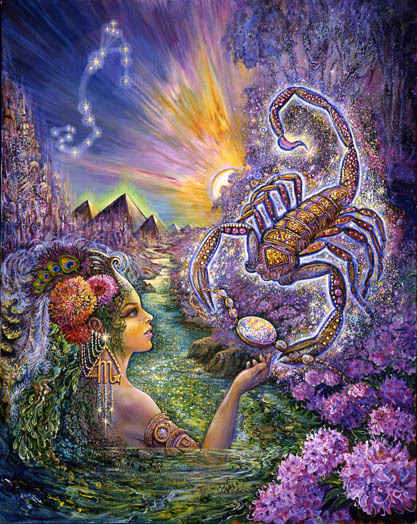 New possibilities for melding creative expression and financial partnerships may emerge as Mercury moves into the highly creative 5th house. This is a time when you return to yourself. Recent developments in relationships may have put an exclamation point on that fact. 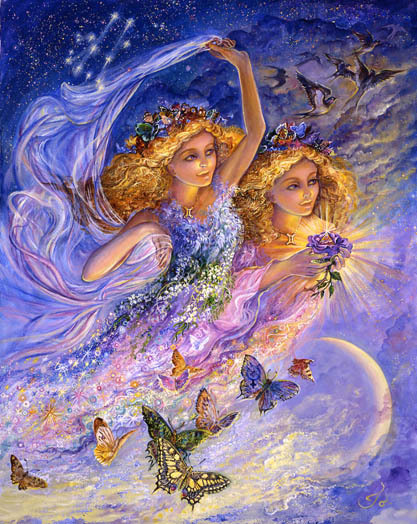 Healing has occurred,the effects of which will be felt for awhile. There is a transition in progress. It’s time to release all the lies you’ve told yourself and the lies you were told by another. It’s time to detoxify your mind in ways that allow you to settle back into yourself. 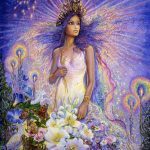 At your most natural you are high principled, open to adventure, straight forward, and freedom-loving, with an occasional tendency to “overdo it.” Finding the humor is a wonderful strategy for grounding you back into yourself. This week it may be time to have a conversation with someone who’s known you forever, with your mom, or a family member, to remind you of who you are and what your aims should be. You begin to feel the freedom you used to love, and will again, if you don’t already. It may be time to move. 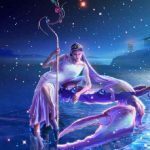 This week Libras attract loving words, conversations that open their minds, the ability to express themselves truthfully and beautifully, as well as the joy of considering something new and eccentric. Most likely friends, lovers, and children play a big role this week reminding you of how supportive you’ve been, how much that has meant, and how deeply satisfying it feels to you to be materially supportive, relentlessly tolerant, and consistently understanding. Unrelated (or maybe related) is the possibility that you’re trying to prove your worth in some way by accepting too much responsibility or being afraid to say no. It is possible this week to be exceptionally honest and to gently tell yourself the truth about the nature of your motivation. 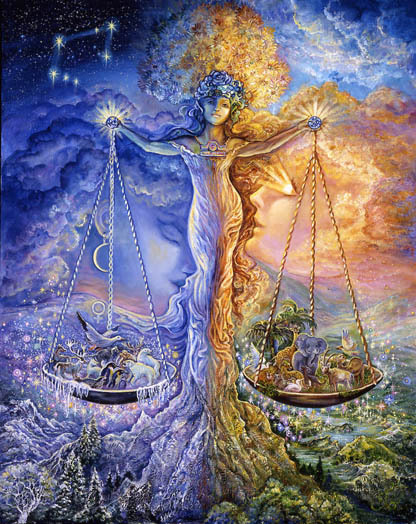 A delicate balance exists between your powerful instinct to love and support others and your ability to reinforce your own sense of self-respect. 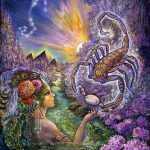 The background of a Scorpios life, for the past 4 years, has been a struggle to break free of rigid routines and mindsets, especially where work, health, and money are issues. Finding brilliant ways to arrange your own schedule, to be more authentic, and to satisfy your need for material security requires focused effort. Scattered thoughts, scattered energy, and mental rigidity may have slowed the process. This week there is the possibility of creating a new opportunity through a relentlessly determined focus on powerfully asserting your authority, starting something new, emphasizing your leadership/healing abilities,and putting emotions on hold until you reach the goal you have in mind. Impressions are important and any inconsistency, wavering, or scatteredness will be interpreted as confusing and an opening to keep you from making progress. 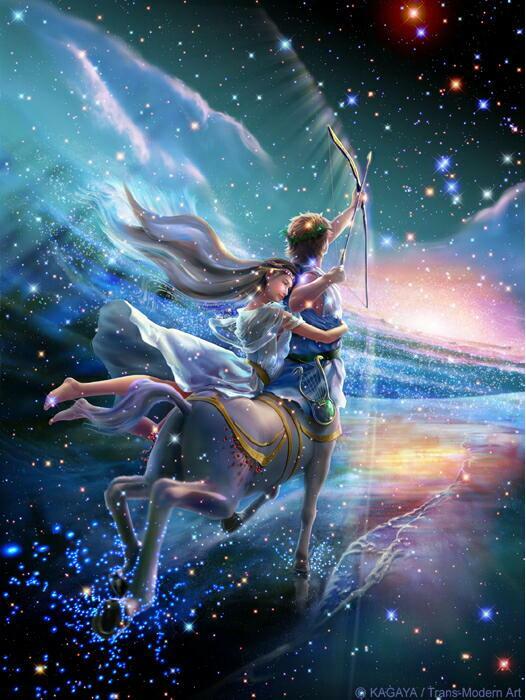 Sagittarians could be feeling a surge of energy toward expansion. Change is definitely in the works, and something unpredictable or unknown may prevent you from knowing exactly what that is. There is the need for a new direction and some agreement within yourself (or with others) as to what form that will take. There are conflicting opinions and feelings as well as some fear surrounding your ability to reconcile those. The need to go your own way and to do your own thing is strong, but their are other considerations. Your desire to expand into foreign territory may be delayed giving you time to figure it out. This week the “lid may come off” releasing pressure in the form of exposing the truth. What would make you happy is being clarified. Some assertive action you’ve taken or impression you’ve made clarifies how determined you are to make your life your own. This is pivotal and bodes well for your future. 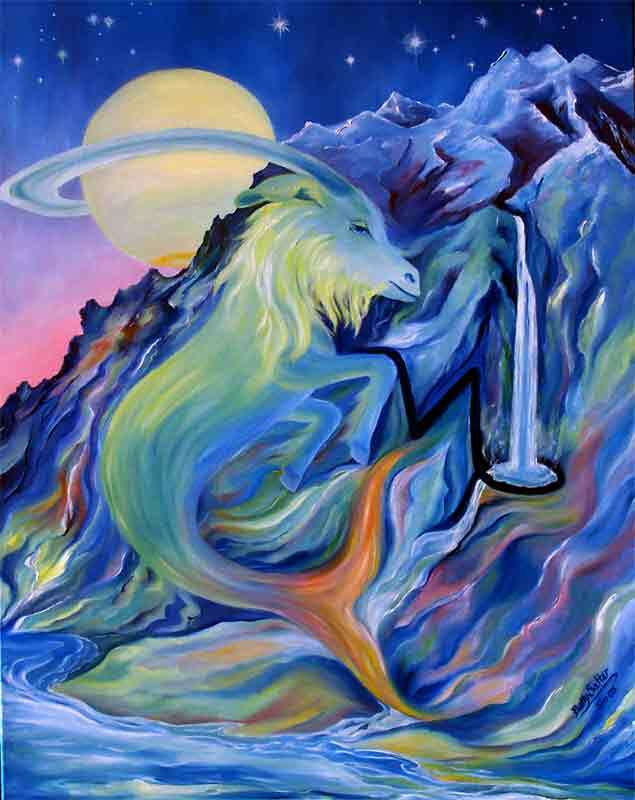 Capricorn may be feeling especially assertive, goal oriented, and realistic regarding what can be achieved, but in a rather detached way. This week you have the chance to create an opportunity that further solidifies a sense of belonging, a position of power and leadership within the community, or a place within the tribe to which you truly belong. Long standing fears of enforced alienation have almost been released, but not entirely. This week you make more progress in that direction. Assert yourself strongly, particularly when it comes to highlighting your sense of authority, focus, and determination. Keep emotions in check while balancing interests even though you may feel somewhat disconnected. There is a large part of you remains “in hiding” and somewhat softened. You are at the end of a long road. It’s time now to loosen your grip on old ideas, opinions, and beliefs as you make way for something new. Pisces may have reached a turning point in a long phase of healing. Having spent many years trying to prove their worthiness to others they now seem ready to overthrow that approach in favor of something more self-centered, self-respecting, and healthy. Very shortly it will be time to expand in some direction that makes them happier, more creative, and more capable of self-love. 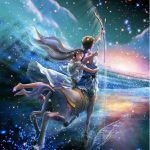 This week there is conflict between aiming for your own goals and providing service to others, between your natural artistic approach and your professional responsibilities, between what you want and what your partner wants, or between being high profile and wanting to retreat to some secure and relaxing place. 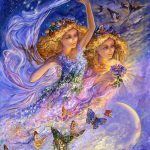 Transcending those conflicts involves an approach that integrates a somewhat more radical expression of who you are mixed with time spent nurturing the vision for your life and what you want to magically materialize.